July 6th 1994. 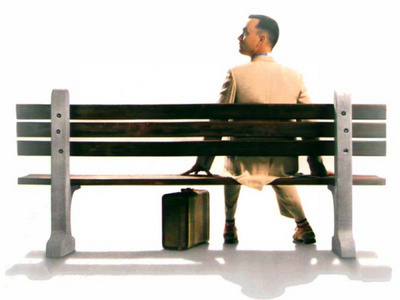 On this day in 1994, the movie Forrest Gump opens in U.S. theaters. A huge box-office success, the film starred Tom Hanks in the title role of Forrest, a good-hearted man with a low I.Q. who winds up at the center of key cultural and historical events of the second half of the 20th century. Forrest Gump was based on a 1986 novel of the same name by Winston Groom, who (like his main character) grew up in Alabama and served in the Army during Vietnam. In the film--which included now-famous lines like “Life is like a box of chocolates. You never know what you’re gonna get”--Forrest is a star runner and ping-pong prodigy who inadvertently rubs elbows with the key figures in a number of landmark events, from Elvis to the Civil Rights Movement to Watergate to the rise of Apple computers. He pursues and eventually marries his childhood friend Jenny, played by Robin Wright Penn, who veered from Forrest’s conservative path and became a hippie in the 1960s. Some commentators argued that Jenny’s eventual demise was a statement about the counter-culture movement in America. The win was Hanks’ second in the Best Actor category. A year earlier, the actor had nabbed an Oscar for his starring role as a lawyer with AIDS in Philadelphia (1993). WithForrest Gump, Hanks became only the second actor, after Spencer Tracy, to win back-to-back Oscars. In addition to his Oscar wins, he was nominated for Academy Awards in the Best Actor category for his performances in Big (1988), Saving Private Ryan (1998) and Cast Away (2000). The appeal of the novel and the movie is that it proclaims that is by far better to have a low IQ and use for good, than to have the IQ of a genius and use it for evil. It is the same appeal of Dostoyevsky's existential novels.